Do Your Office Lobby Signs Pop? Also known as reception area markers or waiting room signage, lobby signs are a must for businesses in any sector. Whether you operate a professional office building, hair salon, retail storefront, or an auto dealership, they do an excellent job of inviting in clients as well as brightening up your walls. Fortunately, Citrus Sign Studio can assist you in boosting your brand recognition by designing, manufacturing, and mounting office lobby signs in one of the many areas we serve! Backlit Lobby Signs – Backlit lobby signs are a great choice if you run a tech firm or any other enterprise that wants to stay ahead of the curve. LED illumination shines through the acrylic faces of these markers. You do not have to worry about expensive electric bills since LED is energy efficient and low maintenance. Metal Laminate Letters – With individually cut metal laminate letters, you can get the same distinguished look of metal without the price tag of a solid metal alloy. We make these by adding a thin layer of real metal to high-density urethane (HDU), acrylic, PVC, or other substrates. Each letter is then routed to match your corporate logo or font. With metal laminates, there are a variety of different colors you can pick from. 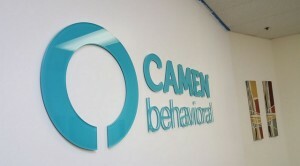 Acrylic Letters – Acrylic cut letters are a popular interior signage alternative. We have dozens of standard colors available, or you can choose to have your letters painted to precisely match your organization’s colors. Also, we can cut your letters and logos to any depth, height, or width. Acrylic Logo Panels – Another common use for acrylic is creating clear acrylic panels with logos and letters applied using digitally printed vinyl graphics. When we install the panel with spacers, an elegant three-dimensional appearance is created. Acrylic panels can be routed to any shape or size. Additionally, there are many different thicknesses. Consider layering panels if you are looking to make a huge impact. HDU Letters – Commonly called sign foam letters, HDU letters are your best choice if you want your lobby sign to have depth. HDU is valued for being versatile and eco-friendly. For a glossy appearance, we are able to add acrylic laminate. Or, if you are looking for precise detail, we can digitally print on the face of the letters. 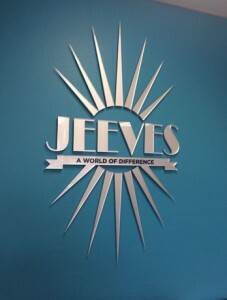 These are just a few of the office lobby signs we offer to our clients. 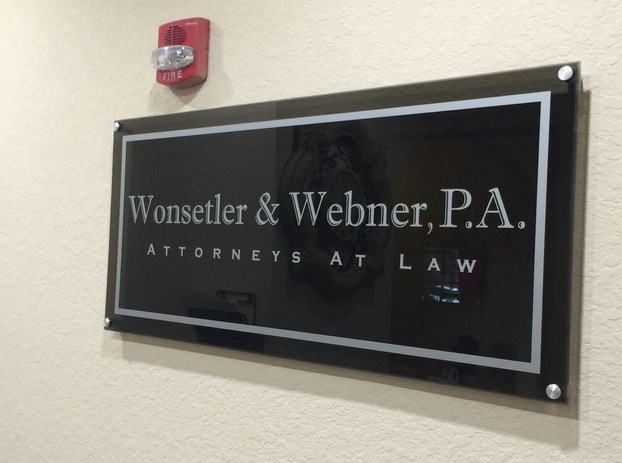 When you contact us, you don’t need to know what you want. You can leave that to us. Based on your goals, we are skilled at coming up with alternatives that are tailored to your business’s specific needs. From our headquarters in Orlando, Citrus Sign Studio is proud to design, fabricate, install, and maintain signs for Kissimmee, Lake Nona, Altamonte Springs, Winter Garden, Doctor Phillips, College Park, and the rest of the Greater Orlando area. 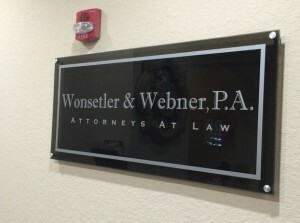 If you are in need of top-quality office lobby signs in Orlando, FL, please contact our friendly professionals at (321) 285-0730 or click below!